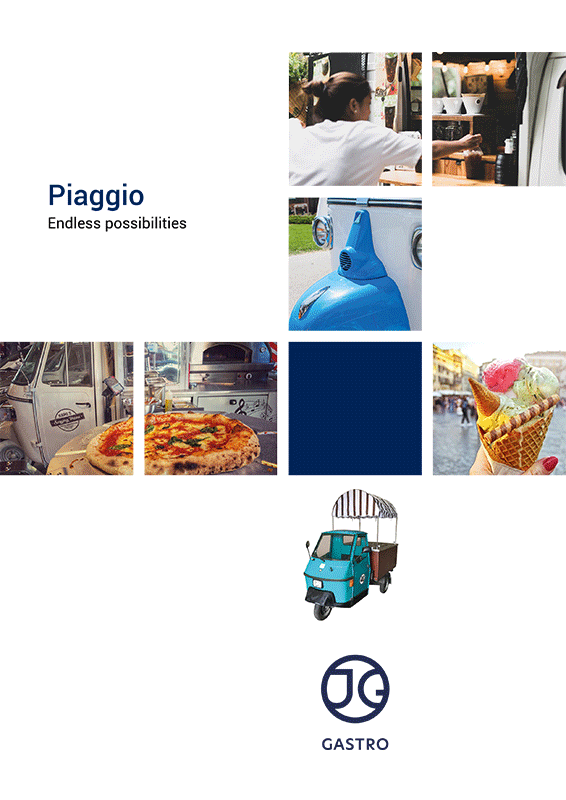 Mobile gastronomy may have different faces such as trailers, food trucks, bike, carts and so on… Piaggio is another way of reaching new customers. 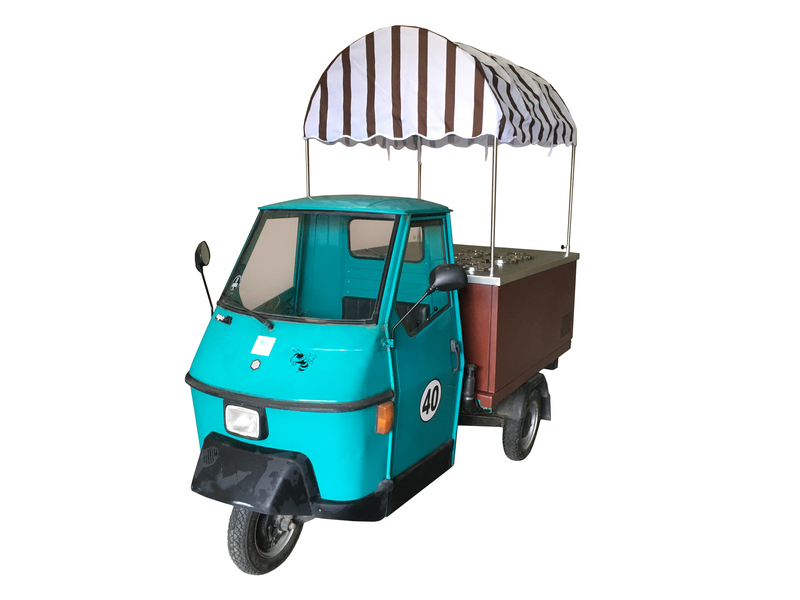 A vehicle adjusted to selling coffee, ice creams, pizza, or anything you can imagine. 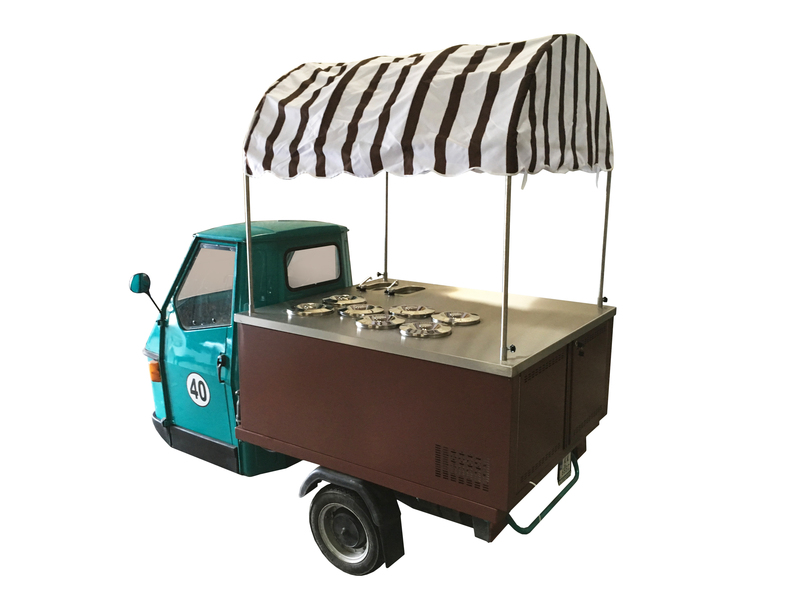 Italian style and elegance. 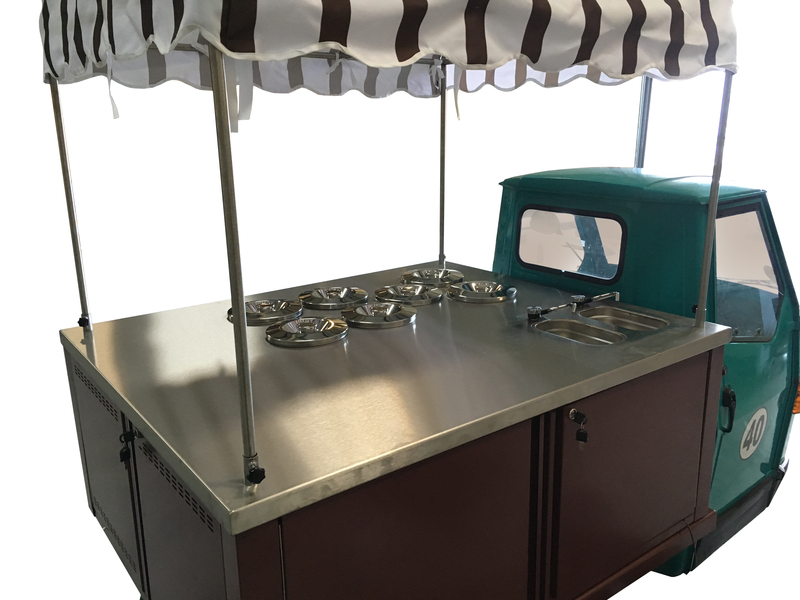 People just love small restaurants on wheels. 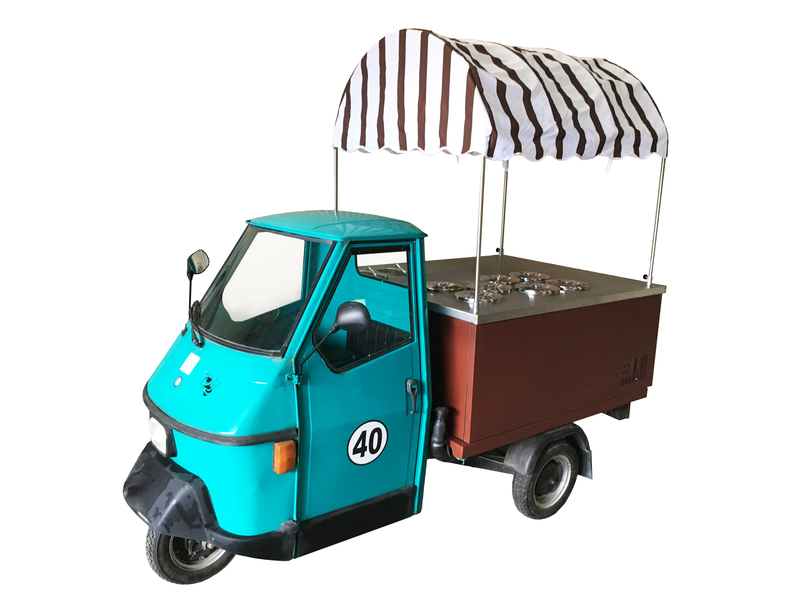 In the catalogue you can find exemplary models of Piaggio Ape, for example for coffee, ice creams, and pizza. 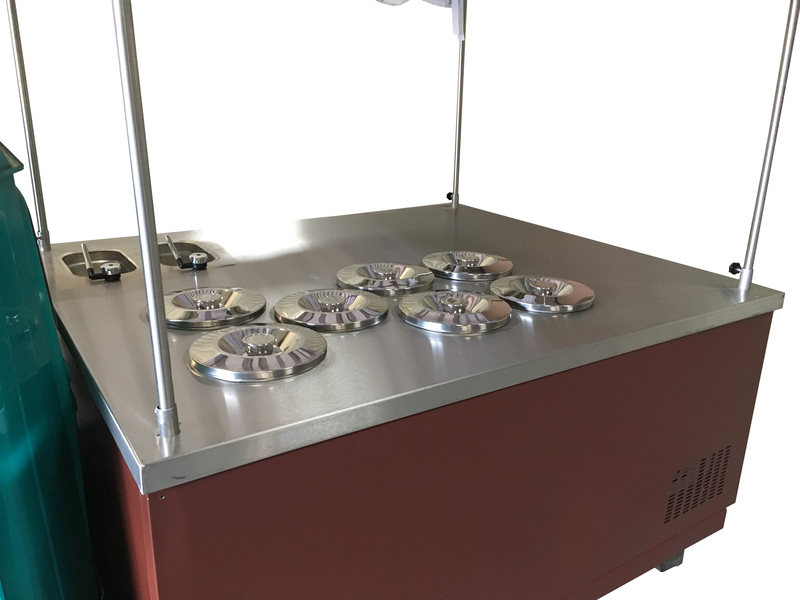 Each vehicle may include wood, or powder coated case.We assort final equipment according to our customers needs.